Home to over 400,000 residents, Mesa, is a vibrant city on the edge of the Arizona desert. With a large selection of historic homes, a huge number of acres reserved for parkland, and exciting archaeological sites, Mesa provides visitors and residents with plenty of adventures regardless of their interests. Although Mesa is quite a large city, visitors and locals do not have a problem finding an excellent holistic dentist when the need arises. Mesa has a good selection of dental facilities with convenient locations for routine and emergency dental care. The Emergencydentistsusa.com website makes the frantic search for a holistic dentist with office hours that suit your needs a thing of the past. Our website provides you with all of the information that you need to make an informed decision about your dental care with just a click. Follow the dental office links to learn more about your chosen dentist, to find out dental office hours, and to get driving directions that make finding the dental office a breeze. 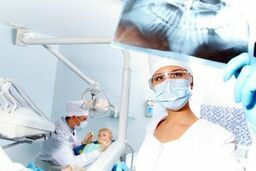 The Emergencydentistsusa.com website also offers information regarding a dental clinic’s specialities. When you are not able to access the internet, use our convenient dental finder toll-free hotline to connect with a friendly agent who can help you to find a holistic dentist right now. He or she can also make your first appointment for you, and can offer driving directions so that you can get out of that dental pain quickly. Remember to bring your photo identification, any copayment that might be due, and your dental insurance card with you to visit your new Mesa holistic dentist. Although there is a large selection of dental offices in the city of Mesa, here are a few of the top holistic dentists in the area. Scroll through our convenient listing to choose the dentist who suits your needs right now. Description: Located in lovely Mesa, Arizona, New Health Dental specializes in holistic dentistry along with cosmetic and restorative dental care. From safe digital x-rays to the removal of amalgam or mercury fillings, Dr. Fritz takes pride in treating each person like an individual and ensuring safe biocompatible dental care. Description: Restorative dental care, sedation dentistry and cosmetic dentistry make Dr. Scott Condie a dentist who offers complete dental care for any patient. Utilizing biocompatible materials and offering a dental practice where patients are treated like family, Scott Condie Dentistry cares for each and every patient. Description: A dedicated team of dental professionals makes My Dentist an amazing location for any type of dental care. Specializing in the use of non-toxic restorative materials for dental procedures, this Mesa dental clinic provides emergency care, routine services, and cosmetic dentistry with a natural approach to whole body health. Heading to your new Mesa holistic dentist does not mean that you have to begin your dental care all over again. Choosing a holistic dentist simply means that you have put some thought into your health, and that you want to select the type of dental care that has the least impact on your health and the environment. Holistic dentists are often chosen to remove the standard amalgam or mercury fillings and to replace them with a more biocompatible filling type. Whenever you select a new dentist, it is important to check the dentist’s current licensing and credentials to ensure that he or she is up to date in Mesa, AZ. You can do this by speaking with the receptionist at the dental office. Most dental clinics display current licensing and credentialing right in the office. You can also access the Arizona Dental Association’s website and type your dentist’s name right into their search box. This allows you to view current licensing online.